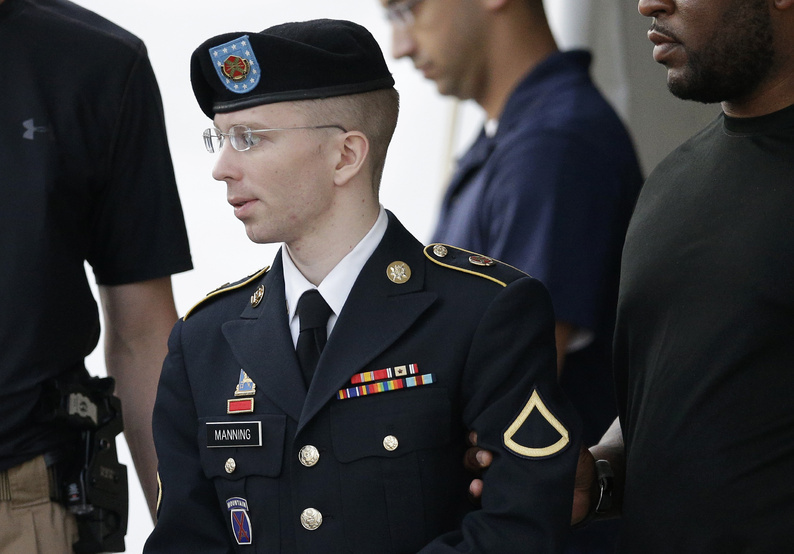 The Army private who leaked classified documents to WikiLeaks faces up to 90 years in prison. FORT MEADE, Md. — A Pentagon official says the classified information that Army Pfc. Bradley Manning disclosed through WikiLeaks put entire Afghan villages at risk of harm from the Taliban. Navy Rear Adm. Kevin Donegan testified Friday at the soldier’s sentencing hearing at Fort Meade, near Baltimore. Manning faces up to 90 years in prison for giving the anti-secrecy group more than 700,000 battlefield reports and State Department diplomatic cables in 2010. Donegan says the battlefield reports contained names of individuals and villages that had cooperated with coalition forces. He says it took U.S. service members nine months to fulfill their duty to inform those put at risk. Manning claims he leaked the material to expose wrongdoing and provoke discussion about U.S. military and diplomatic affairs.